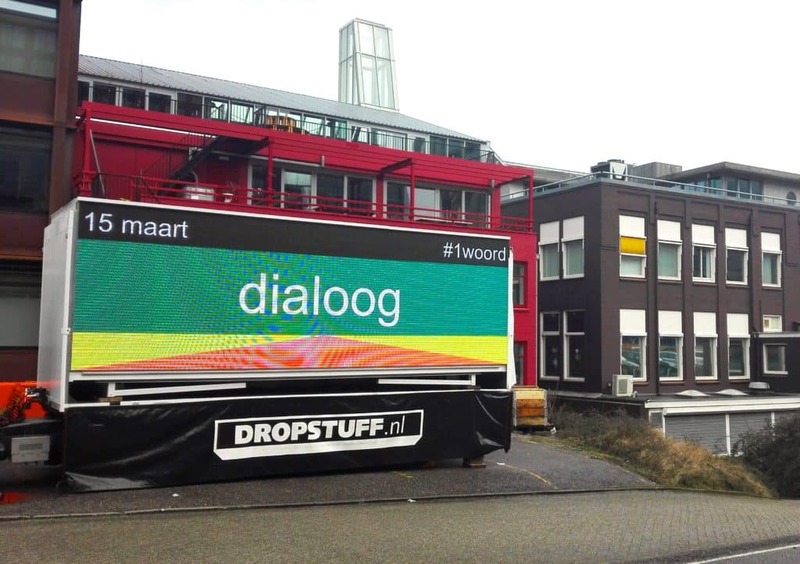 Starting March 1, anyone can share in 1 word – #1woord – what they desire after the elections. Because sometimes one word says more than a thousand opinions, political programmes and debates. A selection of words that incite reflection appears on a large LED screen near the railway tracks east of Amsterdam Central Station, where daily more than 100,000 train passengers pass by. Elections sometimes just seem to be about parties and party leaders, but they are about our future. With the slogan “15 March: what do you think?” everyone is invited to share in one word what they find important. One word can be enough to make someone rethink. All words are valid: pungent words, moving words, funny words, fantasy words. As long as they do not offend or incite hatred. # 1woord is an initiative of Spring House, clubhouse for radical innovators and DropStuff. Perspectivity is a member of Spring House.